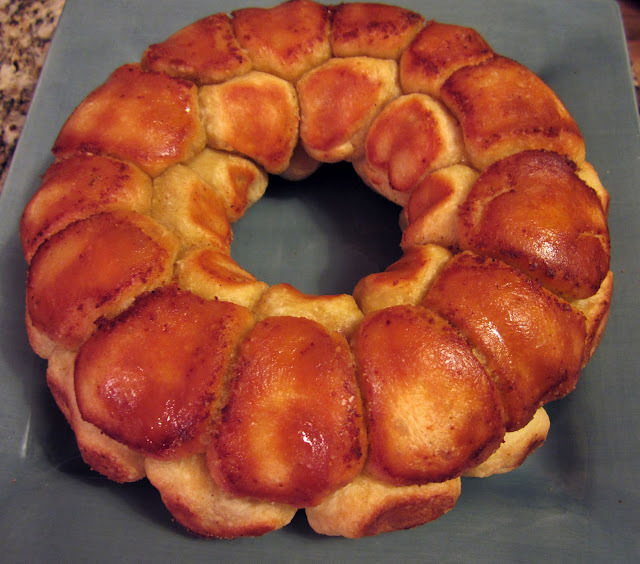 Beth's Super Awesome Blog: Pizza Monkey Bread! I had a few girls over the other night, and decided to try out a new appetizer I found through Pinterest. 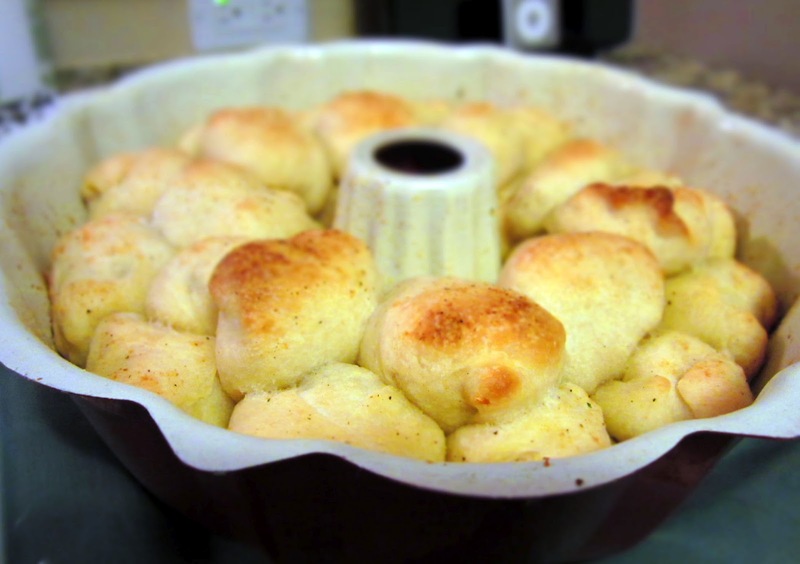 It's Pepperoni Pizza Monkey Bread - and it turned out AMAZING!! It was so totally delicious, and I'm definitely going to make it again. The original recipe can be found here, but this is my vegetarian version, with a shortcut or two! 1. Heat garlic powder and butter over low heat just until warmed. Remove from heat and let sit. 2. 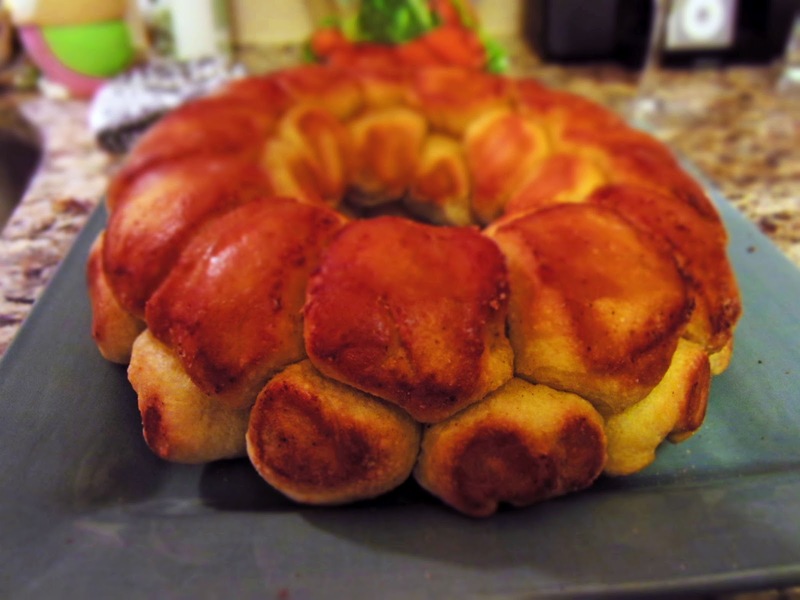 Use spray oil to coat the inside of a bundt pan (or other oven safe dish). 3. Pull off large marble-sized balls of dough and flatten. 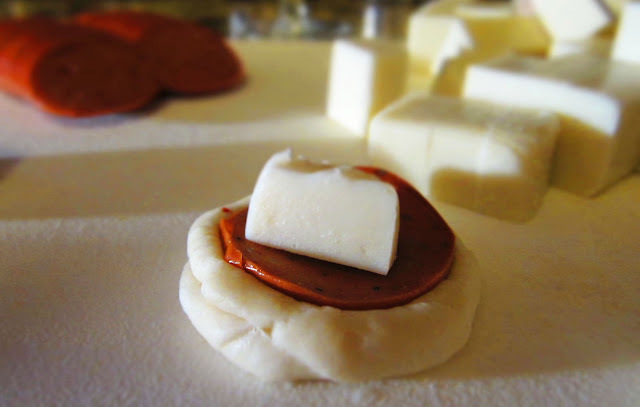 Top with a slice of pepperoni and a cube of mozzarella. 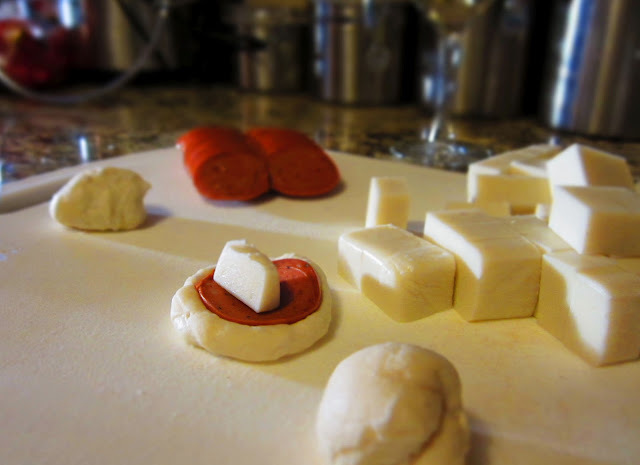 I found that the easiest way to do this was to roll up a bunch of balls of dough at a time, then smoosh the ball down with the slice of pepperoni, and top with the cheese cube. This would be a great step to do with a helper, as it was definitely a bit tedious! 4. Pepperoni Pizza Monkey Bread Wrap the dough around the pepperoni and cheese, pinching well to seal. 5. Place the balls side by side into the bundt pan. 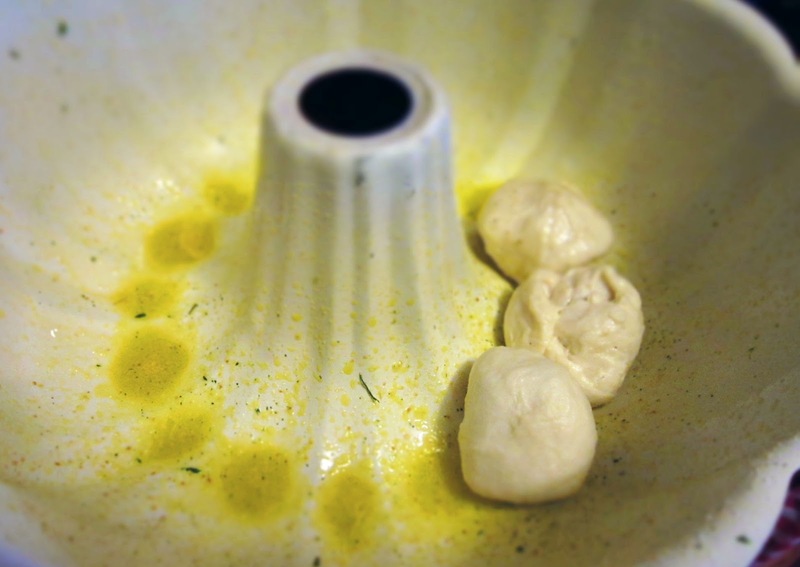 After every 4-5 balls or so, use a cooking brush to dab the balls with the warmed garlic butter. (be sure not to get the garlic butter on your hands - wet / buttery hands will make it difficult to get the pizza balls to seal). 7. Cover and let sit for 30 minutes, while preheating the oven to 400. 8. Bake for about 35 minutes, until the top is brown. 9. Remove from the oven and let sit for 10 minutes. 10.Turn out upside-down onto a platter and serve with warmed marinara sauce for dipping. Seriously guys, this was so crazy easy to make, it's kind of ridiculous. And the girls LOVED it! We totally couldn't get enough it was so yummy and melty and delish. It does take a bit of prep time with making all of the little balls, but it was still fun, and the result was TOTALLY worth it. I will definitely be making this one again soon! Dude! I saw this on Pinterest too and thought about making it. Man, that looks delicious! What a great party piece.